We’re honored to announce that the military personnel on Guam have recognized our dedication to the best possible car-buying experience. 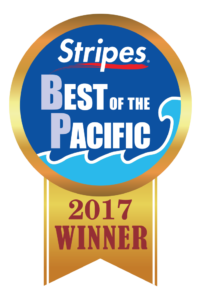 Our customers voted Triple J Auto the best place to buy a car on Guam in a poll run by the Stars and Stripes newspaper. We were chosen as the number one destination for customer satisfaction when looking for a new vehicle. We’re so excited to hear that our customers love our wide inventory, expert financing options, and friendly representatives here at Triple J Auto. We’re especially proud that our Military Incentives have helped to honor those who serve. Whether you’re a service member looking for premium cars or looking to sell your current model, we at Triple J Guam are ready to help you. 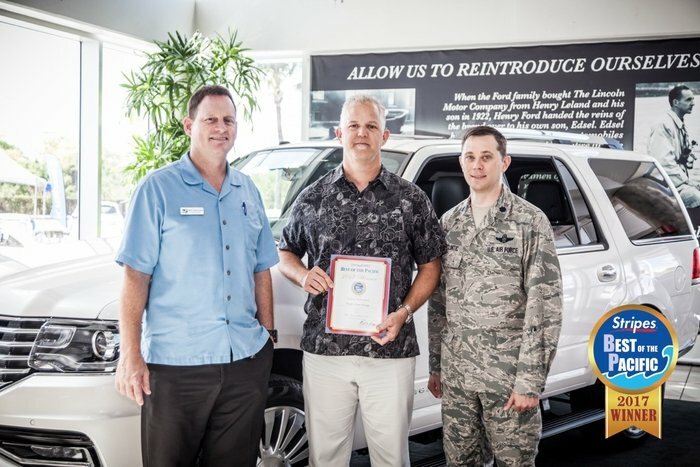 We know that shopping for a vehicle in the Pacific can be an overwhelming experience for military personnel — especially if you’re starting your search before landing on the island — which is why we want to extend our appreciation for your service by offering you excellent deals at Triple J Auto. On top of striving to meet your lifestyle and budget needs, you’ll be excited to know that we’ll put $500 toward any vehicle from our extensive inventory purchase you make as a military member. We offer special military pricing to help return the favor of your hard work in Guam and beyond! Along with this cash incentive, we also guarantee your satisfaction with zero hidden charges, price protection, and very competitive pricing on vehicles in our inventory. Come by today to see all that we have to offer and how we can help you get the deal you’re looking for! There’s no other dealer on Guam that’s offering this discount to military personnel, so make sure you take advantage of this offer and find out why we were voted the best place to buy a car on Guam from the readers of Stars and Stripes newspaper! You’ll find our dealership at 470 Marine Corps Drive in Tamuning, Guam. We’re open 7AM-5PM Monday-Saturday for you to browse out inventory or have your vehicle serviced by our expert technicians. On top of our military discount, we’ll work with you to find the best financing with competitive interest rates on your new vehicle. Give us a call at 671-648-2277, or leave a message online if you’d like to learn more or schedule a test drive with a sales specialist today!